Project: For this project, Slab created an unique that was able to showcase Rick's past and upcoming work while. Looking at this site, one can see the little details added (like the moving pen) make this site a great example of the many different features slab can create. 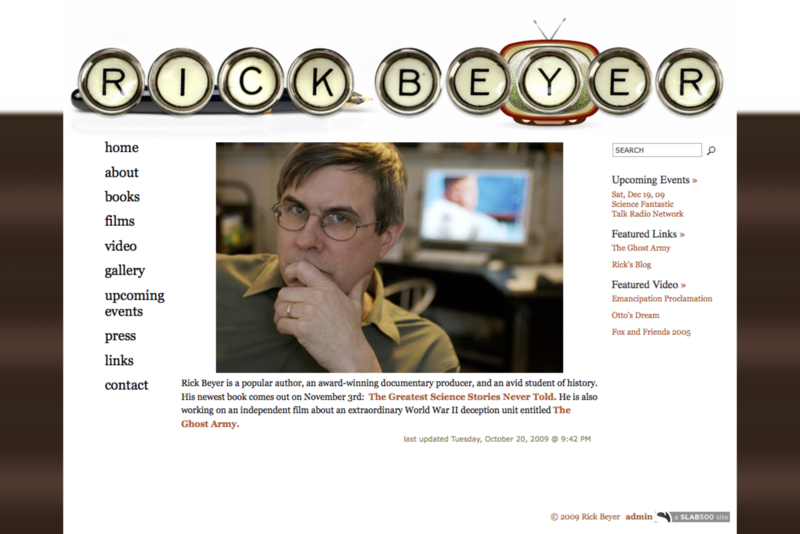 Summary: Rick Beyer is a popular author, an award-winning documentary producer, and an avid student of history. His newest book comes out on November 3rd: The Greatest Science Stories Never Told. He is also working on an independent film about an extraordinary World War II deception unit entitled The Ghost Army.